Lets Chew The Fat Over SIP Door Phones & What Really Is Plug and Play ? Home » Is your SIP Door Phone Intercom Plug & Play, Like Really ? Is your SIP Door Phone Intercom Plug & Play, Like Really ? If you are in the door entry market and looking for a VoIP or SIP Door Phone Intercom, you will be faced with many options. Lots of Intercom Systems, that integrate to IP phone systems, promote their product as Plug and Play. However, is it really Plug and Play ? Paxton for example, is an excellent choice of when looking for a SIP door phone. They advertise their SIP door entry phone intercom as Plug and Play unit. If we take a close look at this. You need the intercom (1 part). You need a controller unit (part2) and you need software (part3). If you want to expand, you need expansion units. Is a system made up from 4 parts really Plug and Play. Aiphone is an IP intercom system. Aiphone is not a SIP based door/barrier entry intercom, its connection is IP. SIP enabled devices, like our own Cyberdata range and manufacturers like Commend, integrate to the End User’s IP Phone system. They are SIP compliant, a SIP compliant (or SIP enabled) door phone forms parts of the end users telephony platform. Others like Aiphone are not SIP, they are IP, which relates more to the connection. In this page we are going to cover the installation steps of Cyberdata secure entry devices. In particular we are going to look at outdoor and indoor SIP door Phone intercom systems. Well, we say “systems”, but CyberData requires no other system parts, other than the door phone itself. 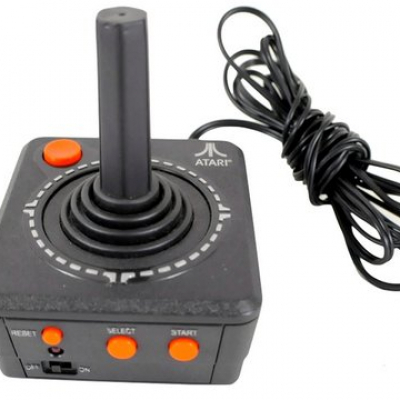 What is Plug and Play ? Plug and Play is a term used surrounding installation, that relates to being able to set something up quickly. A more technical explanation is the use of UPnP. You can read more about UPnP on their own forum here. Axis, for example ( the pioneer and global leader in IP video) their systems use UPnP. Universal Plug and Play (UPnP) is a networking architecture that provides compatibility among networking equipment and software. Difference between a SIP door phone & SIP Intercom ? A SIP door phone is just like an IP phone, but made for secure and remote entry. Some people call these devices intercoms (as they have no actual handset). Here’s how we separate and label the two. 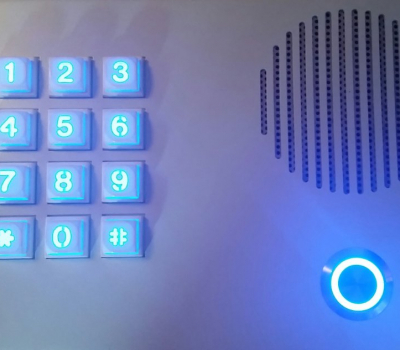 Our SIP door phones have a 12-key keypad, with backlit keys and call button. We class this as a door “phone” because you can dial in and out to multiple telephone numbers. The SIP door phone can also accept calls. With any keypad option, you can still utilize the call button. When we refer to our secure entry device, as an “intercom”, we are referring to the none keypad version. The call button only option, is more an intercom, rather than a door phones (telepehone). The call button only options don’t feature a keypad. Therefore we cant class or relate to them as an actual SIP phone. 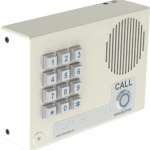 Our CyberData range of outdoor SIP door phone intercom systems are SIP RFC3261 compliant. The unique and powerful range of indoor SIP options are also SIP RFC3261 compliant. SIP or Session Initiation Protocol (SIP), is a communications protocol within Internet telephony for voice and video calls. 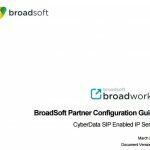 When an IP device is SIP enabled or SIP compliant, it can integrate into an IP Phone system. CyberData is approved for interoperability with 36 SIP phone systems. From Alcatel Lucent to Zultys. That many we can even make a reference from A-Z. In some installations, like Avaya for example, you need to make sure you have 3rd party SIP licenses spare. This is no different than installing a 3rd party IP Phone, like Grandstream for example. A SIP compliant door entry phone can integrate to hosted IP telephony platforms. If we look at the 2 biggest in the UK, Asterisk by Digium and Broadsoft. CyberData is directly certified by both manufacturers. The majority of Cloud (hosted) system you will see, will not promote the backbone technology. Most are built on Asterisk systems though. Our door entry range, will have no problems with integration and interoperability. You can see our full interoperability list here. Our door entry phones are SIP enabled IP endpoints. The connection is IP the operation is SIP. They rapidly connect to the networking infrastructure. One single cable connection is alls that’s needed. When you have installed the door phone, there are no other manufacturer hardware parts tied into the system. Structured cabling: Cat5e or Cat6 will do the job. POE connectivity: All buildings now have POE (Power Over Ethernet) switches – If not, hook up a 1 port POE injector. Once on the Local Area Network, we need to access the settings. On the back of the door phones PCB board is a button, this is marked as SW1. Press and hold down this button for 3 seconds, it will announce its IP address over its speaker. This is great for two reason: A, you know its IP address without having to do any manual configuration. B, you have also conducted a quick audio test. If your secure entry project involves lots of intercoms and door phones, you can use the CyberData discovery utility device. This scans the network, reports back any found devices. Then simply click on each one to launch. Then open a lap top or log into a PC on the same network. Open a web-browser, this could be Safari, Internet Explorer, Chrome or Firefox. Type that IP address (you have just taken a note of) into your website address bar. Then log in with the default username and password. The plug and play set up is achieved with embedded DHCP. Its realised with the fact that no other system parts are required. It’s achieved through a single cat5e cable. This is what we call TRUE Plug and Play.